Shrewsbury bed and breakfast travel guide for romantic, historic and adventure b&b's. 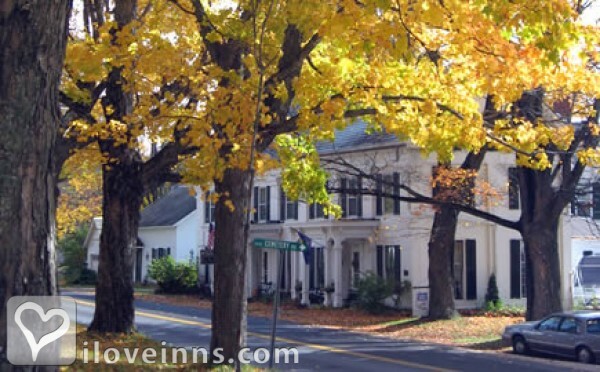 Browse through the iLoveInns.com database of Shrewsbury, Vermont bed and breakfasts and country inns to find detailed listings that include room rates, special deals and area activities. You can click on the 'check rates and availability' button to contact the innkeeper. Named after the Earl of Shrewsbury is a town in Rutland County in Vermont called, Shrewsbury. Life is pretty simple here in Shrewsbury and you can get a taste of it by staying at any of the Shrewsbury bed and breakfast inns. You can visit the Shrewsbury Historical Society which houses a museum showcasing artifacts that are unique only to this community. You can also visit the nearby Pico Peak. You can also visit: The Billings Farm Museum, The Quechee Gorge, Calvin Coolidge's Birthplace, Dorset Theater, the Fly Fishing Museum,and the Simon Pearce Glassblowing workshop. By Crisanver House.